Anton has recently joined our team as an operation assistant. Prior to this he worked closely to chefs and restaurant experts, where he became familiar with the hidden nuances of successfully utilizing commercial spaces for special needs. As our new team member, Anton’s primary focus is on the retail type of commercial real estate. Anton was born in Russia and moved to the United States as a teenager. He holds a Bachelor’s Degree in International Studies with the specialization in East Asia from the City College of New York. 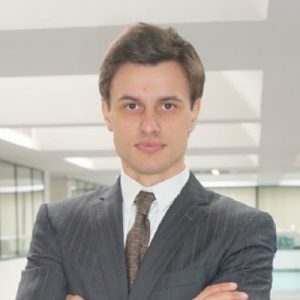 Besides being fluent in English and Russian, Anton is proficient in Mandarin Chinese, which opens to him opportunities to working with our multiple international clients. His multilingual background, previously acquired research skills and experience of working in diverse multi-ethnic environment enable him to find solutions and meet the needs of our clients. Studying ballroom dancing as a child taught him that a combination of skill and passion make you a great performer. Success in business field requires the same components. You have to know what you do and you have to put your heart into it. And he does.